Here is an example of how each worrying thought feeds into the next. As our thoughts become more and more extreme our level of stress increases. 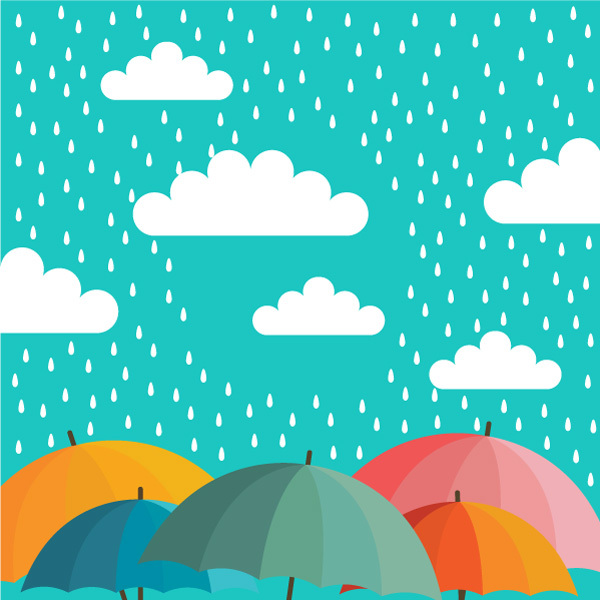 Typical – It wasn’t raining till I got here! 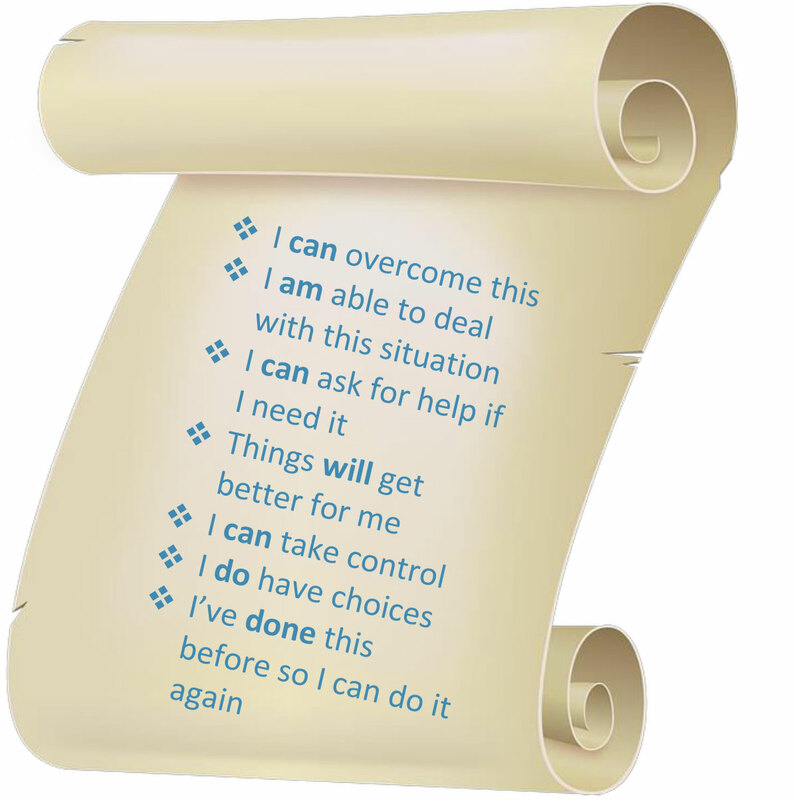 Recognising what we say to ourselves and changing it to more positive self-talk can be very powerful and significantly improve how we feel. How Does Stress Affect Your Thinking? What unhelpful things do you say to yourself when you are stressed? Have a think about the last time you felt worried, stressed or low. SITUATION – where were you, who were you with, what were you doing? THOUGHTS - what were you saying to yourself at the time? How did these thoughts make you feel? How helpful were these thoughts? "I can't cope with ..." thoughts? "What is the point ..." thoughts? "How do I get out of ..." thoughts? I take on responsibility, particularly for things going wrong even when a situation has nothing to do with me. Draw with your mouse to connect the letters and complete the puzzle. Look again at the thoughts you wrote down earlier. You can learn to think more positively in the same way that you learned to think negatively but you have to practice. It should be easy? 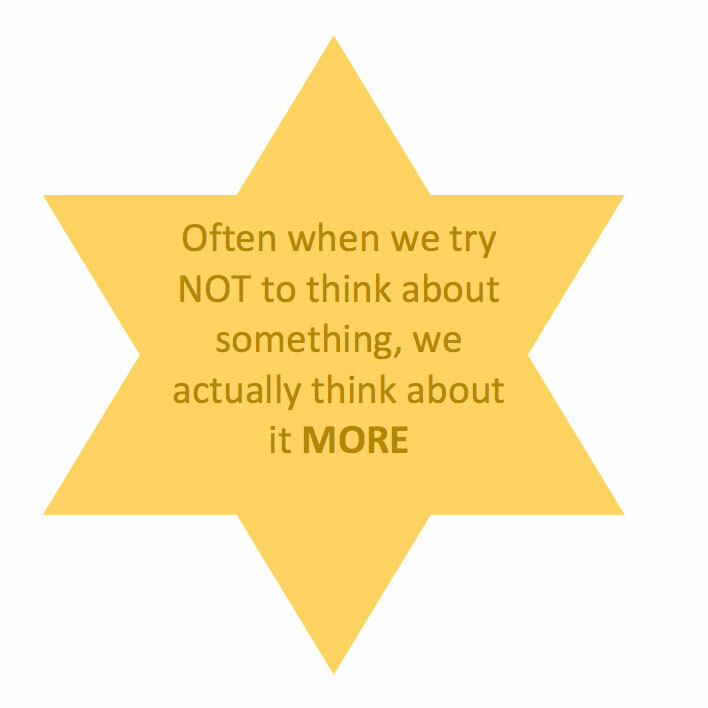 To stop the unhelpful thoughts we should simply stop thinking them...but unfortunately, it’s not always that easy. 1 In your mind, picture a pink elephant. 2 Now, stop thinking about the pink elephant. 3 Are you still thinking about it? 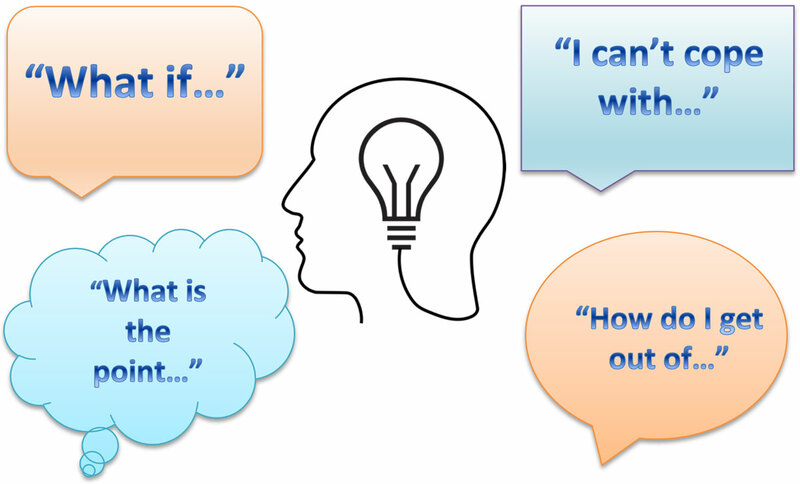 So the question is, what CAN we do to tackle unhelpful thinking? Firstly, do not judge yourself for having negative types of thinking. 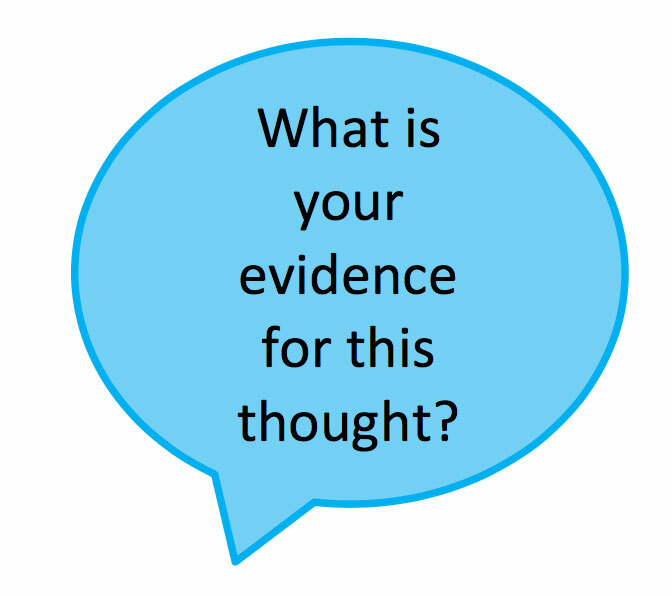 Secondly, ask yourself, what is the evidence to support this thought? Is the thought actually true? 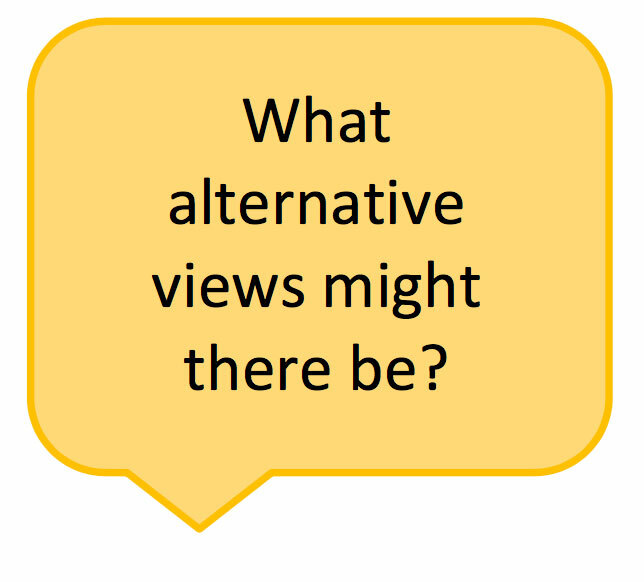 What alternative views are there? What would other people say? Does this thought help me? Does this way of thinking hold me back? How? What unhelpful thinking styles have I noticed (see p10)? What was the result of those unhelpful thoughts? What can I do to change the situation? The following examples show how you can take an unhelpful thought and change it to a more positive thought. "I’ll look like an idiot. People will be looking at me"
People have their own lives to think about, why would they look at me? Even if they do look, why does it matter? What makes me think their opinions are so valuable? Can you think of another positive coping thought to balance the unhelpful thought "I’ll look like an idiot"? "My heart is beating so fast I am going to have a heart attack"
Over the next week, notice what goes through your mind when you feel stressed or low. Try to tackle any unhelpful thoughts by using the techniques from the exercises you have done in this workbook. 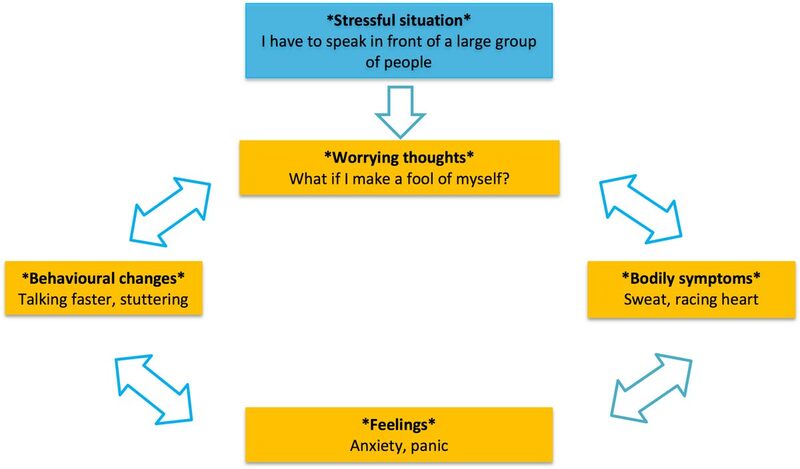 Q1: Which of the following diagrams represents the vicious cycle of stress? Q3: What do we mean when we say "negative thoughts can snowball"? a. When one negative thought takes over your mind. b. When one negative thought leads to another negative thought and so on, with each thought becoming more and more serious. c. When you have several negative thoughts about different things in your mind at once.